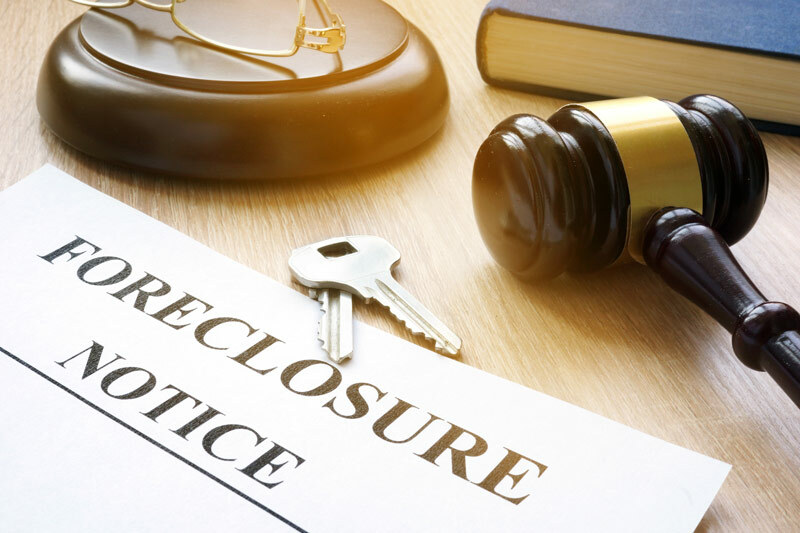 What Should I Do When I Receive My Foreclosure Notice? Home » Blog » What Should I Do When I Receive My Foreclosure Notice? Don’t freak out when you get your foreclosure notice. It’s perfectly normal to get upset, but every moment you spend panicking is a moment you could have spent acting. Take a few deep breaths and get to work. Immediate action can prevent your foreclosure from spiraling out of control, and your foreclosure notice may contain some useful info. One of the biggest mistakes that homeowners make when faced with foreclosure is to “check out”. They feel like it’s a lost cause, so they stop the upkeep on their homes. They may even abandon their homes. There are so many reasons why that’s a terrible idea. Since the foreclosure process can take a while, even if you don’t get your home back, there’s no reason why you shouldn’t stay where you’re at until you’re required to leave. While you’re there, keep taking care of your house. If damage gets worse or the home is vandalized, the value will plummet. Your lender will consider you at fault, and they can sue you for damages. If you want to fight for your home, you need to pay your property tax and insurance for as long as you can. Letting these things go can create larger problems with the IRS and your insurance company. You want the problems to go away – don’t make more. Some foreclosures can take as long as a year. Others can happen as quickly as 60 days. The time frame is pretty flexible. For example, your lender may put your home up for auction, but it won’t sell. If your lender has decided to go through the court, this can drag it out even further. Your lender might included their process with the notice, and you can use these steps to help you plan. You’ll be able to figure out how long you have to raise some cash. When you enter the foreclosure process, your lender can’t take actions they haven’t already outlined in your mortgage paperwork. If your notice is vague, your original paperwork will tell you the specifics. There may be clauses in your mortgage that will allow your lender to sell your home out from underneath you, and you need to know if that might happen. Familiarize yourself with your local area’s foreclosure laws. If you’ve had your mortgage for a while, new laws may have come into effect that change the power your lender holds. They may not be allowed to do what they were allowed to do before. Call them, and ask them what they plan to do instead. Your lender is probably your least favorite person in the world, but you still have to talk with them. Foreclosure is difficult and expensive for the both of you. They aren’t looking forward to it either. Get in touch with your lender’s loss mitigation agents. They’ll want to help you avoid the process. If your financial difficulties won’t last much longer, you can ask for a loan modification plan. If you don’t know much much longer things will be tough, don’t modify. You’ll be back in the same position when you start missing payments again. If you can’t work out a plan with your lender, but you still want to keep your home, look elsewhere. The U.S. Department of Housing and Urban Development can recommend foreclosure avoidance counselors. Foreclosure avoidance counselors tell you what steps you should be taking. They know everything there is to know, and they can help lenders create foreclosure avoidance plans. Whether you’re out of options or you just don’t want your property anymore, selling your foreclosure home will work. You probably won’t walk away with any money in your pocket, especially if you owe more than your home is worth, but you can seriously cut down the debt. Some shady investors may pop up, promising to buy your home and allow you to live in it. This almost always turns out to be a scam. Look for investors who want to purchase your property in cash, which you can then turn over to the bank. The bank may be able to pursue you for the difference between what they were paid and what you owed, but it’s better than owing the full amount of the mortgage and not having a home anymore. So Cal Home Buyers is a reputable team of investors who work with homeowners like you. We can help you explore your options, and if you’re looking for an exit strategy, we’re prepared to give you a fair cash offer for your home. We understand that you want to move past your foreclosure and into a better future, and we’re here to make the process short and simple. « Previous Post How to Spot & Avoid House Buying Scams Next Post » How Does Declaring Bankruptcy Affect My Foreclosure?